Hey! I am in no way associated with recroommasters, Gamer outfitters, or any other associated companies mentioned in this post! I was looking at smaller arcade cabinets to replace my giant NBA Jam cab mame machine and saw they were local to the atlanta area! They had something like a dozen cabinbets. They had stand up, sit down, even a divekick cabinet! The cabinets are particleboard in the Ikea style, but used thick pieces. None of the cabinets used glue and I shook each one I found. They were all sturdy with the cocktail probably being the most sturdy with its stout construction. The sit down 32" monitor cabinets felt very wide to me. The control panel itself was very solid. One of the employees showed me one that was being built and everything was clean and professional. I was very impressed with the control panel (the "pro" version, with the fightpad layout.) Most of their cabinets had a weird, straight button layout which I did not like, but the pro versions looked right out of a japanese arcade, only made of wood and with t-moulding. The prices weren't terrible, though pricey. I felt the control panel itself was a decent deal, especially compared to single fight pads. All the features were there and they looked and felt slick. The biggest con I had is that everything feels like a mame cabinet. Any one of them would stand out in an arcade as a home cabinet. Not really a con, but I am not a huge fan out of it. I am still not sure if I am going to bite on the sit down cabinet, but it was quality. I personally feel these are the best price/quality/look for a pre-built cabinet. If I could afford it, I would get one of the better vewlix clones or a kraylix(which I don't want to paint or wire up), but this is probably the next best thing at a substantial discount. If you have questions, I could probably answer a few, though I only know what is already on the internet and what I gained from spending 15 minutes checking out the cabinets. I think they would have something with some of their other designs if they would just get away from shoehorning an x-arcade into it. Perhaps a controller of their own design which would be designed to look correct with the cabinet. EDIT: It seems they've done that (for $900) and it seems they've sold out of that. Price point is still a bit high for most people, but I choose not to think about how much money I have in my cabinet. Oh yeah, I didn't even look at the x-arcade stuff. I always wrote off their older stuff and the "emulation" control panel with the weird button layout. They really nailed the "pro" series, though. Whenever I look at an Xtension cab, it screams pedestal or glorified bookshelf to me. And I played extensively on their Sit Down cab; know two ppl that have one. For just a bit more, you can have a Kraylix. More work required on the Kraylix to get it going, but you end up with a nicer cab. I have one and like it a lot. Yes, I know a lot of people don't like the X-arcade, but it works for me. Hoping to add some graphics to it eventually. Right now it's basically just a generic black upright. My boy LOVES his. Yeah the price was a little high, but he got a damn nice cocktail cabinet out of it. Although it doesn't get much love here, the x-arcade is a decent control panel. What deserves the razzes is when people try to shoehorn it into a cab that it isn't properly proportioned to. I maintain that if you built a cab that was properly proportioned to it, it wouldn't look bad at all. It would be a fairly narrow cab since the width would have to remain at least slightly smaller than the width of the back of the x-arcade. 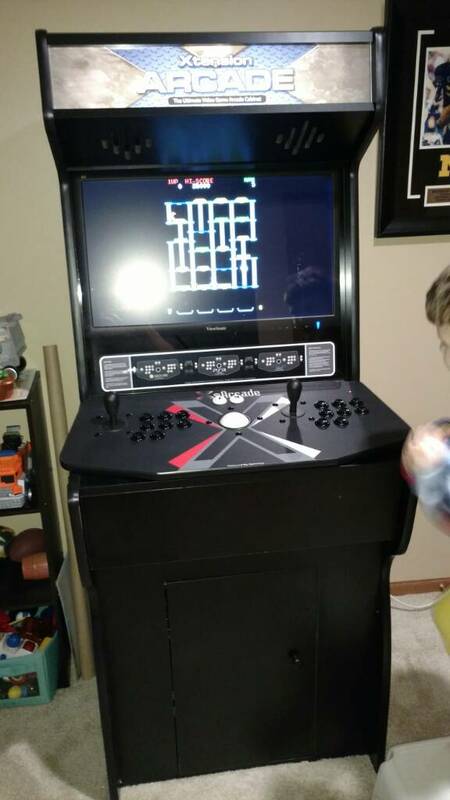 The X-arcade and Xtension cabinets are a great way for folks to get into the hobby, and for those of us who don't have the time or skills (yet) to build a cabinet from scratch. I love mine, and adding new buttons/joysticks/spinners has given me the skills and confidence that I will need if I eventually decide to build something from the ground up. Mine won't pass for a real arcade cabinet, but it sure is a lot of fun! I think those things are more for the causal user who wants something cool for their man cave rather than a hobbyist who enjoys the building process almost as much (or more in some cases) than playing the games. I suppose I get it, but they just don't do it for me, especially at the prices they are charging. Unfortunately it isn't shaped like an arcade control panel so it doesn't look right on anything. Not even X-arcade ever came up with a cabinet that the thing looked right on. Also, to the original poster, when you say "weird straight button" do you mean the way basically every arcade game you ever played was? That curved layout only existed in Japan and only even existed there so cabinet makers could support both Capcom and SNK titles without stamping separate control panels for them, it had nothing to do with ergonomics or superior game play. That's the boat I'm in. I have no wood working knowledge or tools. The Xtension is perfect for me right now. I think someday I'd like to build a cabinet from scratch. Maybe a bar top project, as I think those are really cool. Just don't have the time for anything like that right now, though. Having done both an Xtension cabinet and a Haruman bartop and having NO luck with a saw or wood and being OK with a DRILL at least. I'd say the Xtension cabinets are the EASIEST, but the Haruman (and the like) bartops are WAY more fun to build. All you need for a Haruman bartop really, is some gorilla glue wood glue, and some patience mixed with some well thought out button and speaker mount planning. I ended up drilling 2 extra holes on the sides for flipper buttons, then changed design to power button and USB port. My next Haruman will utilize the shift function of the iPac2 and use less buttons. This is what I am doing now with the Xtension cabinet of my sons. He can control EVERYTHING, including power and volume all from the player one controls on the cocktail.. admin buttons, dip switches, screen flipping, EVERYTHING. on mobile, so I won't try a quote. But to the poster mentioning my comment about the layout, it was more the spacing. They seemed a little far apart and very gridlike. If the spacing was normal, the large amount of buttons may have been what made it look so weird. I didn't play it, but it did look jarring at least. Would look a lot better if you also cut the xarcade panel top to be a rectangle. Yeah, that actually looks pretty good. I've seen a couple of cabinets with Tanksticks on them and the end result isn't horrible. I own one of the Xtension arcade sit down cabinets. It's not quite a "Vewlix clone" but it's pretty close. I had never thought of buying one, until I saw one on my local Craigslist for $100 so I jumped on it. (I got super lucky with the find, as I explain in the video). It actually surprised me after assembling it how super sturdy and heavy it was. Quite impressed. In addition, it had upgrades like the Pro CP layout and custom sideart and marquee. Definitely a $1k pricetag if I were to buy it new. But it was in fantastic shape. (Previous owner probably wanted to get rid of her X-boyfriend's stuff is my guess). In the end, I ended up tossing my Xbox Classic in there with "Fighting only" games and MAME and it works great. It's perfect as a dedicated "Fighting cab" and it's a nice (in my case cheap since it came with the 32" TV and an iPac 4) addition to my home arcade. Wow, you got a great deal on a cabinet like that for only $100. Very cool look. Nice arcade collection you have there! Ugh, the custom artwork alone costs 100 bucks! I kinda want one since I need a sit down cab as I had a back injury and my stand up cade is now literally a pain. It is just so hard to pull that trigger! 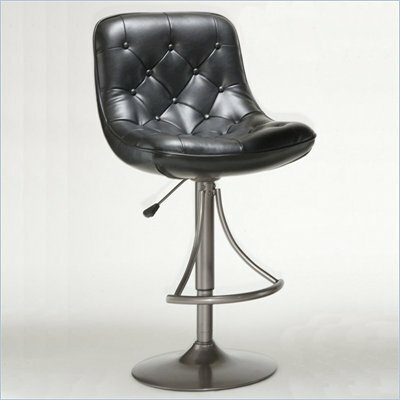 It might just be cheaper to buy a nice comfy padded bar stool. I had a barstool, but the monitor I used doesn't have the greatest vertical viewing angles, not to mention it takes up most of my dining room at the moment I may even just get a fightstick and call it a day, but back surgery really put a damper on standing for long periods of time, especially with my wrists at that level. Also, delusional, does the extension you have feel a little big? I noticed it was a good 6-7 inches bigger in width and depth. In the store they did seem a little bigger than I was expecting, but a store isn't a house. The Xtension cabs come in several different sizes. I have a 27" version, for example.